What makes you different from other recipe websites? A ton! Our impetus behind numnums was to meet needs that other products simply couldn’t satisfy. To start, we did away with the mess of advertisements... we take pride in our polished design. :) Moreover, we have developed a clean platform that is incredibly user-friendly. Optimized for use on desktop, tablet, or mobile, all of our features can be used anytime! Smart shopping lists, easy recipe storage, and on-demand cookbooks make numnums so much more than a recipe website. Think of us as a utility that will make your life that much easier. Want to know more about our story? Check it out here. Our founder, Carmelita, would sometimes cook Sunday dinner for friends in college. When the food turned out delicious, they would exclaim with big eyes, "This is numnums!" Does numnums work in Canada? How can I build my own recipe website? You will need to subscribe to one of our small business plans. Contact us to get started! Your recipe form looks different from others that I've seen. What gives? We didn't want to build a form with a gazillion fields since filling that out would be time-consuming. We built the recipe forms to make it as fast as possible to draft recipes, so all you need at minimum is a recipe name and ingredients. Add each ingredient on a new line. If you want to add quantities or notes, separate the ingredient name, unit of measure, and notes with commas. All 3 ways below would work. Then click on preview and you'll see your recipe magically ported into the numnums template. You can add ingredients to your shopping list from there. Can everyone see my recipes? Whenever you add a new recipe, its default status is set to "draft," so only you will be able to see it at this time. When you're ready to share it out, set the status to "published." This will allow anyone with the link to see it. It will also show up in numnums search results. If you want to keep your recipe hidden, simply keep it in "draft" status or set it to "private." Who can access my website? You have the option of configuring your microsite as public or private. Public microsites welcome everyone who comes your way, while private microsites are only accessible by designated visitors, contributors, or administrators. Simply specify your preference when filling out your new client survey. Moreover, if you would like public access to your website without giving away the ability to create PDF cookbooks, you can do that as well. Just let us know! What do the different recipe statuses mean? Draft: I'm still working on this recipe; let's not share it just yet. Published: It's finalized! It's ready for the public. The two above statuses are available to all users; however, the following four are exclusive to microsite contributors. Private: This recipe holds something secret. It's for my eyes only. Submitted: I don't want the public to view it just yet, but lets allow my fellow contributors to take a look. Proofread: It's almost ready! This recipe has been thoroughly reviewed and relieved of errors. Archived: I don't want to display this one, but I don't want to delete it either. Let's keep this one on the backburner. Where can you view all these soon to be published masterpieces? Check out the publish queue, where all your pending recipes lie. This is an easy way to keep track of what's in the works. Do I need specific print settings when printing individual recipes via print preview? Because all browsers work differently, yes. Our team has tested on both Mac and PC. On Mac we have tested Chrome, Firefox, and Sarafi. On PC, we tested Chrome and Firefox. When using Chrome, check the print settings and make sure that background graphics are printed. On Firefox, be sure to include background images and background colors through its print console (by navigating to "Print" via the Firefox menu). http://folio.numnums.com is a microsite we developed to highlight and promote the culinary profiles of our users. Where do I send people to see my profile? Once you create an account, your dedicated space on folio.numnums.com will be http://folio.numnums.com/[your user name]. Can I simply post food photos? Yes. While we built our recipe form to capture a lot of information, feel free to fill out as much or as little detail as you like. For food photos, we do recommend typing in a title at minimum, just so that visitors can understand what they're seeing. Do I need to fill out each and every field for my profile? No. Fill out as much or as little as you wish. Folio will only display the profile attributes you have entered and want to share. When you mark a recipe as a favorite or add ingredients to your shopping list, we just need a simple way to know which favorites and items are linked to you. Why do I have to fill out a captcha during registration? We are well aware that captchas are ugly, and can be a pain to fill out! Trust me, we didn't want them either; we wanted registration to be as smooth as possible. However, we implemented captchas as a means to ensure that all our users were indeed human. Those pesky bots can't bother us anymore! Do I need to create a new numnums account for each microsite? Not at all, your numnums account works across all numnums microsites. Any ingredients you add from recipes on different microsites all write into the consolidated shopping list tied to your account. From where do you get your featured recipes? Did you invent them all? We are avid food publication readers, so most of our featured recipes actually come from books and magazines. Some recipes also come from family, friends, and cooking shows. We've rewritten the recipes to work with the cookware we have and the ingredients that we have available to us. Our team has only "invented" a handful of them. How do you determine which recipes to feature? Who shot your food photos? For our featured recipes, most of our photos are DIY efforts taken at the numnums office. However, a small subset of them are professional photos ... check them out at our pro photos microsite. What do the colored dots in the recipes mean? The dots are there to help you easily determine which ingredients go into which step. In the example below, ingredients with a red dot go into step 3, and green into in step 4. Ingredients used in several steps, such as the garlic and tomatillos, are represented by a partitioned dot, with the colors of the earlier step on top. Notice that step one does not use any ingredients; thus, it is represented by a grey dot. This display does in fact transition over to our print preview; partitioned dots are separated for extra clarity. How are the diets defined in your featured recipes? We determine the type of diet the recipe supports based on the ingredients contained in it. Our four base diets include the following. We've also started building microsites for specific diets and health needs, such as http://paleo.numnums.com/recipes and http://diabetic-living.numnums.com. Interested in a microsite of your own? Let us know! How do you determine a recipe's complexity? Honestly, our process is pretty subjective. We factor in ease of ingredient purchase, ease of clean up, technique, and tools. Here's the general criteria we use. low = Easy to find and prep ingredients, simple to make, quick clean up. medium = Might have a few hard-to-find ingredients and may require some practice. Doesn't make too much of a mess. high = Can possibly hurt yourself while preparing and cleaning up the dish, but it's worth it! May require special tools. I love how the recipes work with the shopping list. How can I add my own recipes?  You can add your own recipes if you are on one of our paid plans - numnums pro or numnums for business. Contact us to learn more. Is there an easy way to edit the order of prep steps and ingredients? Yes! If you feel the urge to reorder an item for whatever reason, you can easily drag and drop. Simply click the edit recipe button and drag your prep step/ingredient to where it needs to be. How do I process recipes with multiple categories, components, or phases? By categories, we mean components that are prepared individually, then combined to serve (think the dressing and greens on a salad for instance). To support this, we have implemented the option of adding subheaders to your recipes, as a means to keep them a little more organized. From the advanced entry interface, adding a subheader is simple; enter your desired subheader (ex: "For the Dressing," "For the Greens") as you would a prep step. Initially, it will become a step in the recipe, but don't be alarmed! Simply, edit the step, label it a subheader, and you're all finished. 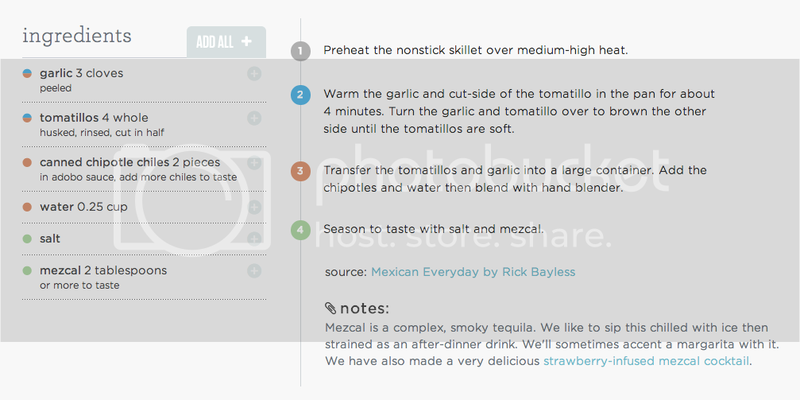 From the edit form, you can designate subheaders as you build out the recipe instructions. How can I quickly jump from one recipe to the next? When you click on a recipe you should see left and right arrows on each side of the page. Clicking on these or sliding the appropriate direction on tablet/smartphone - will take you to the previous or following recipe, respectively. All numnums users can designate these two above statuses to their recipes. If you are a microsite contributor, and want to learn about recipe statuses, check out our small business customers section. How can I enter cookware? Can I order cookbooks from you? You can only order cookbooks through us if you have a microsite with this capability set up. To do this, you will have to subscribe to one of our small business plans, so please do! If not, it’s always free to preview your cookbook in pdf mode. Why do some recipes have photos of people? Some businesses utilize numnums to portray multiple facets of their company. While most times it pertains to food, other times it tells the story of the people behind the organization or the recipe. What do the colored dots in the shopping list mean? The dots correspond with the general zones of a store. We assign fruits and veggies to the produce section. Items that need to stay cold, such as dairy and meats, are assigned to the fridge. Items that need to stay even colder get assigned to the freezer. Pantry items that aren't refrigerated typically include canned goods, spices, etc. Bread and prepared foods, such as rotisserie chicken, can be found in the deli and bakery. We designate items such as toiletries, kitchen gear, and cleaning supplies to the other section. When I add items to my list, why do some have section assignments and some don't? Our team has assigned sections to items commonly entered into numnums. When you add an item that numnums recognizes, it will automatically assign a section for that item. If you add an item that numnums doesn't recognize, its section will remain blank until you assign it. What if I want to assign the item to a different section? Update it, then numnums will remember your section preference for that item going forward. Can I designate stores for specific items? Of course! 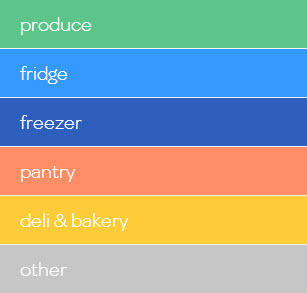 Similar to how numnums remembers your section preferences, numnums will also remember your store preferences for items. What do the asterisks on the list mean? These are flags. We typically flag an item if we think we might already have it on hand, such as pantry items. The flag reminds us to check our pantry for these items before we leave for the store. This way, we aren't purchasing items that we already have. We sometimes also use flags to remind us to use a coupon for an item. To flag or unflag an item on mobile, simply double tap on the item. On desktop, you can update flags by editing the item. And on both mobile and desktop, you can flag and unflag via our batch edit feature. Is there a way to see the recipes I have added to my shopping list? Yes. Located under shopping list is a tab labeled recent recipes. Click on it and you will see your 36 most recently used recipes, in reverse chronological order, for extra convenience. We actually have this page on the home screen of our iPad and use it almost every day. When we're ready to start cooking in the kitchen, we load up our recent recipes to quickly access the instructions we need to prepare our meal. ... I still didn't find the information I was hoping to get out of this FAQ? Whom can I contact with additional questions? Definitely reach out to us via hello@numnums.com. We look forward to hearing from you!